We at Stand Up Comedy Clinic and our affiliated companies worldwide are committed to respecting your online privacy and recognize your need for appropriate protection and management of any personally identifiable information ("Personal Information") you share with us. If you choose to provide us with your Personal Information on the Web, we may transfer that Information within Stand Up Comedy Clinic or to our third-party service providers, across borders, and from your country or jurisdiction to other countries or jurisdictions around the world. Where Stand Up Comedy Clinic collects Personal Information on the web, we intend to post a purpose statement that explains why Personal Information will be collected and whether we plan to share such Personal Information outside of Stand Up Comedy Clinic or those working on Stand Up Comedy Clinic‘s behalf. Stand Up Comedy Clinic does not intend to transfer Personal Information without your consent to third parties who are not bound to act on Stand Up Comedy Clinic‘s behalf unless such transfer is legally required. 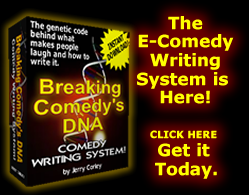 You may choose whether or not to provide Personal Information to Stand Up Comedy Clinic. The notice we intend to provide where Stand Up Comedy Clinic collects Personal Information on the Web should help you to make this choice. If you choose not to provide the Personal Information we request, you can still visit most of Stand Up Comedy Clinic‘s Web sites, but you may be unable to access certain options, offers, and services that involve our interaction with you. 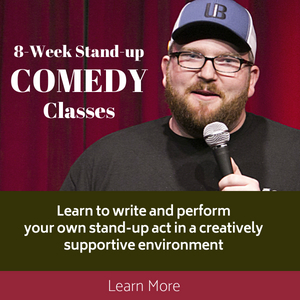 If you choose to have a relationship with Stand Up Comedy Clinic, such as receiving a newsletter or other business relationship or partnership, we will naturally continue to contact you in connection with that business relationship. Wherever your Personal Information may be held within Stand Up Comedy Clinic or on its behalf, we intend to take reasonable and appropriate steps to protect the Personal Information that you share with us from unauthorized access or disclosure. To the extent that you do provide us with Personal Information, Stand Up Comedy Clinic wishes to maintain accurate Personal Information. 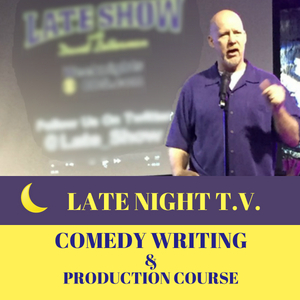 Where we collect Personal Information from you on the Web, our goal is to provide a means of contacting Stand Up Comedy Clinic should you need to update or correct that Information. If for any reason those means are unavailable or inaccessible, you may send updates and corrections about your Personal Information via Email and we will make reasonable efforts to incorporate the changes in your Personal Information that we hold as soon as practicable. Third parties provide certain services available on www.StandUpComedyClinic.com on Stand Up Comedy Clinic‘s behalf. 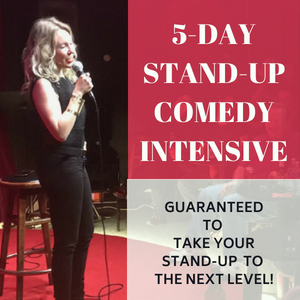 Stand Up Comedy Clinic may provide information, including Personal Information, that we collect on the Web to third-party service providers to help us deliver programs, products, information, and services. 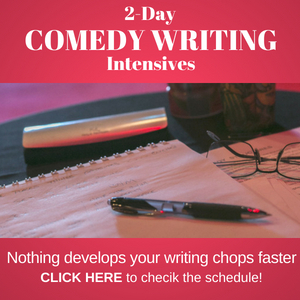 Service providers are also an important means by which Stand Up Comedy Clinic maintains its Website and mailing lists. 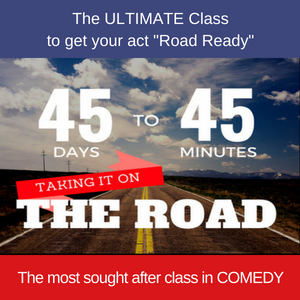 Stand Up Comedy Clinic will take reasonable steps to ensure that these third-party service providers are obligated to protect Personal Information on Stand Up Comedy Clinic‘s behalf. Stand Up Comedy Clinic does not intend to transfer Personal Information without your consent to third parties who are not bound to act on Stand Up Comedy Clinic‘s behalf unless such transfer is legally required. Similarly, it is against Stand Up Comedy Clinic‘s policy to sell Personal Information collected online without consent. www.StandUpComedyClinic.com is not structured to attract children. Accordingly, we do not intend to collect Personal Information from anyone we know to be under 13 years of age.